Micromax has launched it’s first ANDROID tablet in the Canvas Series. 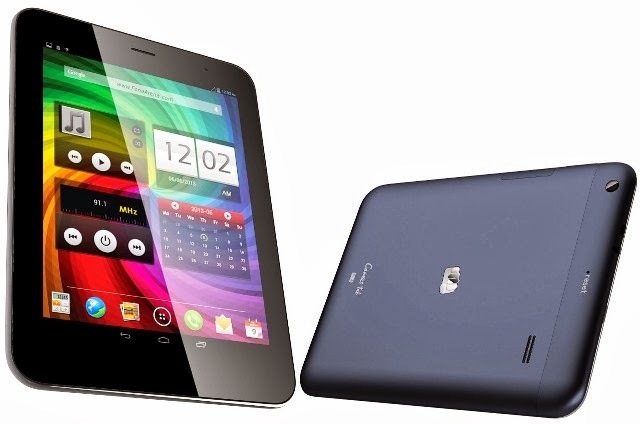 The company has named it the Micromax Canvas Tab P650. The company is trying it’s lady luck on smart tablets after it’s successful stint with it’s various smartphone models. Well, let’s browse through it’s features and the pros and cons it faces. The Micromax Canvas Tab P650 has a screen size of 8 inches and comes along with a multi touch display which has a 1024×768 pixels. It is powered with 1.2Ghz of Quad Core Processor of Mediatek MT8389 Processor and has a RAM of 1GB. This tablet comes with the 4.2.1 Jellybean Android OS. Speaking of memory capacity, the device has a 16GB of in built memory (11.07 GB as internal and 1.73GB for the rest). This can be expanded upto 32GB. The thing which can impress you would be great quality of poly carbonate body along with a reasonable price tag. Micromax Canvas Tab P650 Android tablet is available in Blue and White colors and is priced at Rs. 16, 500. Starting today, this tablet is available for purchase from all online as well as offline stores.